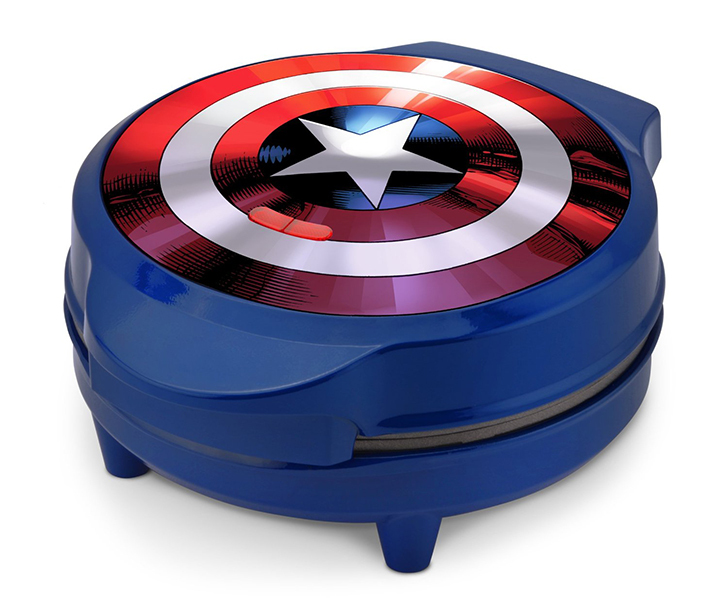 If you have a geeky side and feel compelled to bring your love of comic books to the kitchen, then the Captain America shield waffle maker may be for you! This product, by Marvel, will cook up a tasty, 6 inch waffle in about 3 minutes on a non-stick surface! It will bring a patriotic theme to your cooking.